The population currently most at risk for abuse of prescription drugs is glow-in-the-dark skeletons. 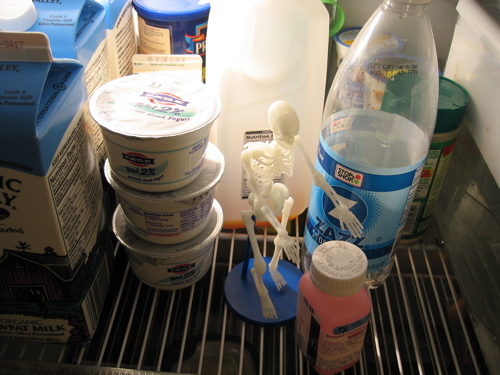 If you or someone you love is a glow-in-the-dark skeleton, please don't store him, or her, in the fridge. Simple childhood antibiotics like amoxicillin are pink and quite attractive to the skeletons, who no longer have brains. These drugs can be extremely harmful to a skeleton, mostly because they are dead and not real. Care for those around you, especially during this holiday season.